Last night’s championship was the perfect finale to a basketball tournament that kept us all on the edge of our seats from start to finish. Before we begin to discuss the finer points of the game, like how to pronounce Arcidiacono, or the impressive reaction time of the person who launched the streamers, or if we might soon have another crying Jordan meme, we have one more championship to watch. We’re down to two. Two schools that have mascots that simply cannot be replicated in all of college sports. Boomer Sooner. West Virginia, Hail. Game on. X-factor: The Schooner has a supporting cast that surrounds and pushes it forward when it needs a helping hand the most. As an inanimate object, the wagon can outlive most other mascots and any iteration of the Schooner can be expected to be around for decades. Most impressive win: Most expected the Xavier Musketeers to be in this spot instead of West Virginia; after all, the guy has a blue blob as a sidekick. But that sort of win is precisely why West Virginia has made it this far. X-factor: Every five years, Mountaineers of the past reunite for homecoming and share stories of their tenure. It’s a camaraderie that extends beyond the coonskin cap and the buckskin suit. The Sooner Schooner is the only mascot with a name that rhymes in the entire tournament (and one would assume that it’s one of the few in the country). That’s gotta be taken into consideration. After all, a mascot is only as good as his name. The original assemblage is well documented: Freshman Mick Cottom was the first to steer the wagon which was led by two three year old ponies weighing in at 300 pounds and standing 41 inches tall. But if remembering the past and maintaining tradition is the mark of success, then we must look no further than the Mountaineer. 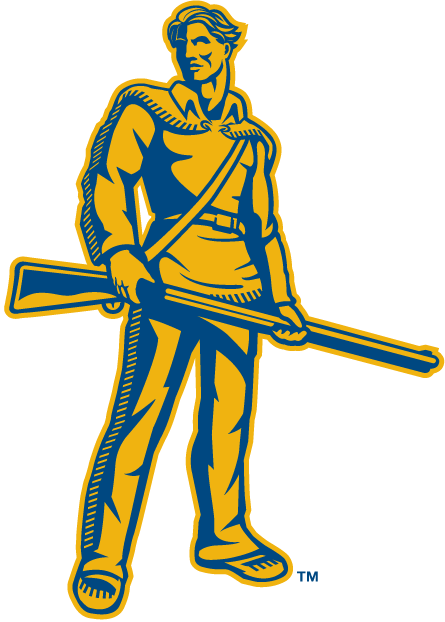 A list of every single past Mountaineer from 1934-2016 (including the three unofficial mountaineers from 1927-1934) is available along with the years of duty and whether or not they are still living. Want to know who the mascot was in 1962? Want to know who portrayed the Mountaineer more than once? More than twice? The original Mountaineer mold is on display along with a statue to the bearded mountain man. There is a clear dedication to this representation of the institution. Six straight wins is a tough feat but the Mountaineers were able to persevere with their history and high standards of excellence. It was a long road and certainly not one that was paved for a smooth ride. Rather, it was bumpy and rocky…a country road. And it takes West Virginia back home, only this time with a nice piece of mascot hardware.